On day 5 I had two shows, Tommy Hilfiger at the Pier and Kaufman Franco in Lincoln at night. I ended up changing into something a little more comfortable for the night show but wore this during the day for Tommy. I decided to include photos from the TH show in today’s post so I hope you like! I really tried to switch up my looks each day so for this one, I just wanted to go for something feminine with a little edge. 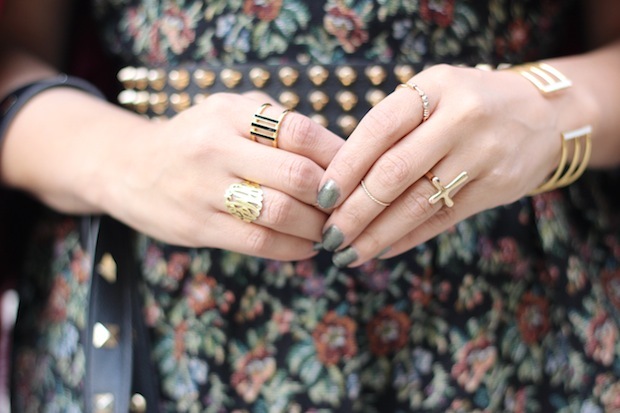 I really liked mixing the woven floral print with studs because it added a nice contrast. The material on the dress is actually really thick so I also felt that I needed a belt to define my waistline a bit more. To bring out some color, I went with this blazer but kept it off my shoulders. I didn’t want this look to be too girly, so I went with these shoes because they also added some edginess. 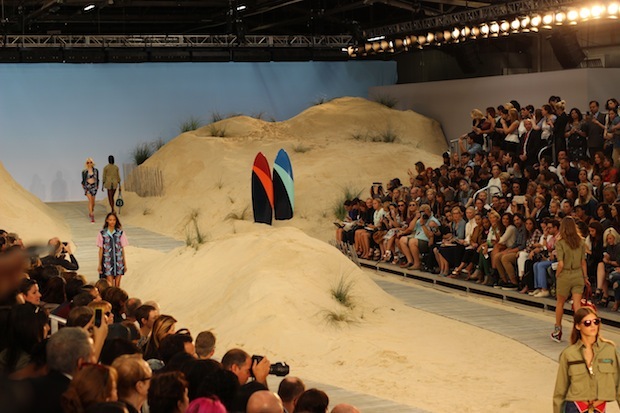 The set up was amazing and inspired by the beach as you can see with the sand and wood floors and surf boards. If you follow me on insta, then you probably saw a video I posted from the show. The whole theme was very Cali Cool and heavily influenced by the West Coast. There was lots of vibrant colors along with neoprene fabrics. 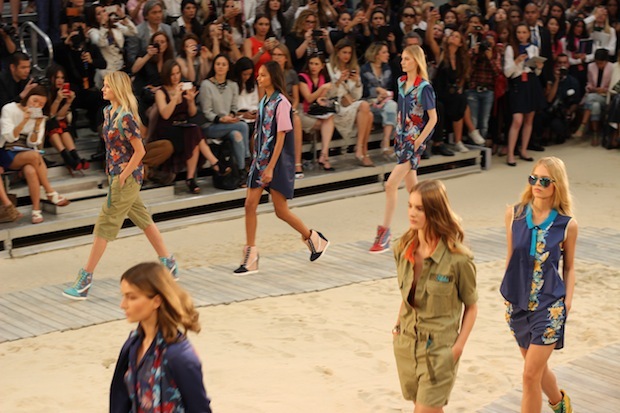 The pieces were very relaxed with a sporty touch. 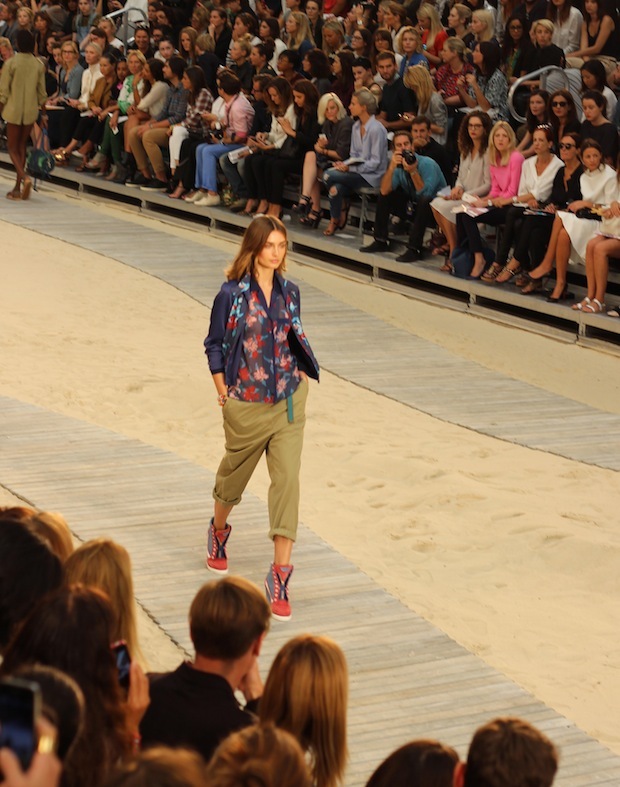 Hilfiger even incorporated some Hawaiian prints in the mix. The whole collection was very fun and modern and definitely captured the essence of the Cali lifestyle! Tommy Hilfiger items are always lucrative. What a gorgeous fashion show! Nice pics love your look! Oh my gosh !! What a collection..i love your hairstyle, and your dress;you look like a doll …. love your floral and the show photos! Love this outfit. The dress is pretty amazing. you are my inspiration! <3 such a lucky girl! You always look so amazing!! That dress is gorgeous on you! I'm your newest follower via google (1091).